One of the stops on the SJI Garden Club’s April 16th Hosted Excursion to Sunnyside Nursery in Marysville was Channel View Nursery in La Conner. The nursery prepares the town of Friday Harbor’s hanging baskets. Sandy Jenson gave the group a ‘preview look’ at the baskets she has prepared for the town this year. The initial basket planting was done at the end of February. There are 90 baskets this year, not including those for the Port of Friday Harbor. 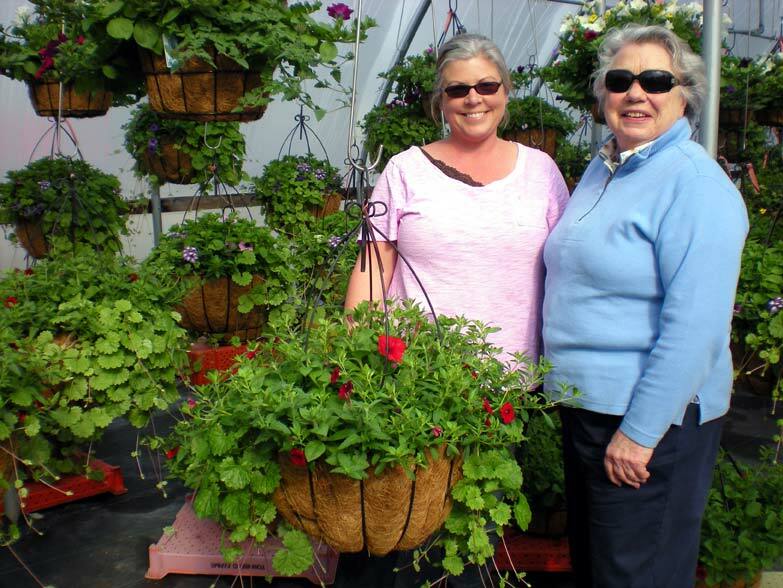 The Garden Club donates funds to the town toward the hanging baskets. We can expect them to arrive on island in about 2 weeks. This is a WONDERFUL touch the Town and Port does every year. Thanks to the Garden Club for their support to make it happen. Also thanks to the Town and Port staff for their maintaining them once they arrive. I am a member of the SJI Garden Club. I believe we donated $500 toward the baskets. We are all looking forward to the lovely baskets decorating our harbor town. Yes. Thanks for making our spring and summer months so beautiful!